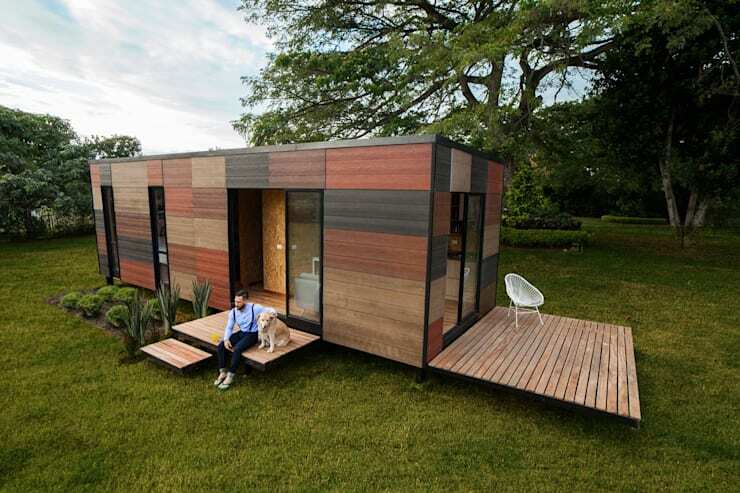 Prefab homes are often overlooked as options when it comes to architecture and design. People think that they may not look as beautiful as traditional homes. Others think that possibly the quality will be lacking. This is simply not to the case. There are so many advantages to a prefab home, including the fact that they are cost-effective and can be constructed in a much quicker time frame. 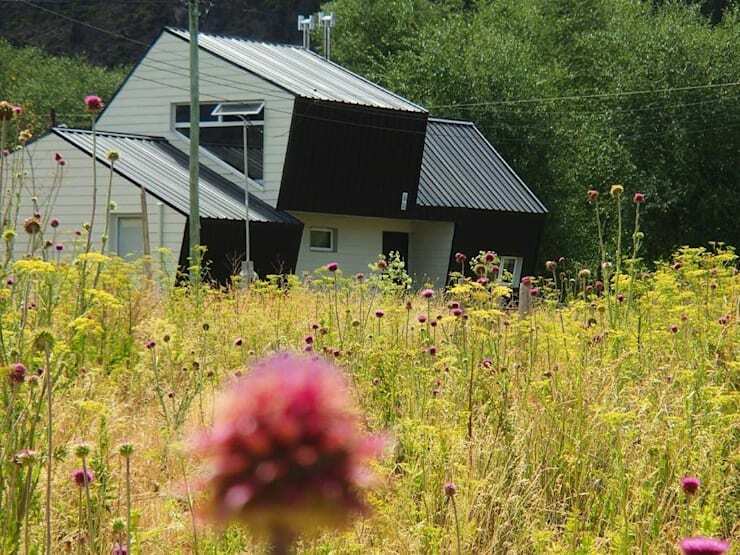 Prefab homes can also be far more eco-friendly, incorporating natural materials or recyclable elements into the design. This is why today at homify, we are going to take you through 12 beautiful prefab homes, designed by top professionals from around the world so that we can change your mind once and for all when it comes to this type of architecture. You'll see how much creativity and innovation goes into their designs as well as how stunning these homes can be! 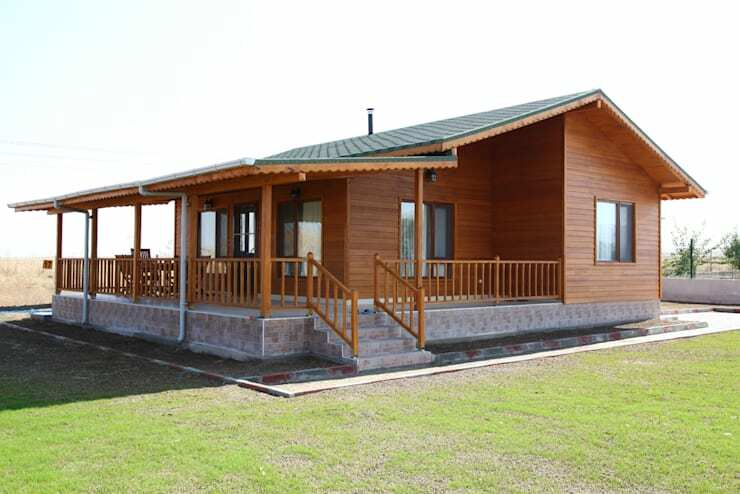 This wooden prefab home is simple and classic, with a gorgeous wrap-around terrace that provides plenty of space for enjoying the beautiful surrounding views. 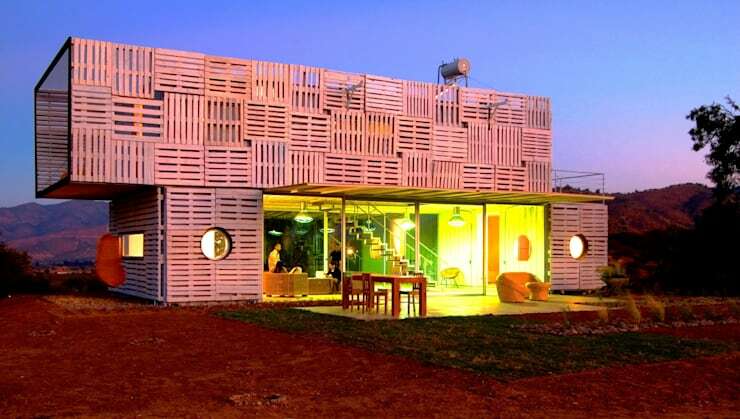 Now this design shows how prefab and industrial chic collide, resulting in a home that is simply stunning. Do you see how the skylights have been inserted into the roof, ensuring that the interior of the home receives plenty of natural light? 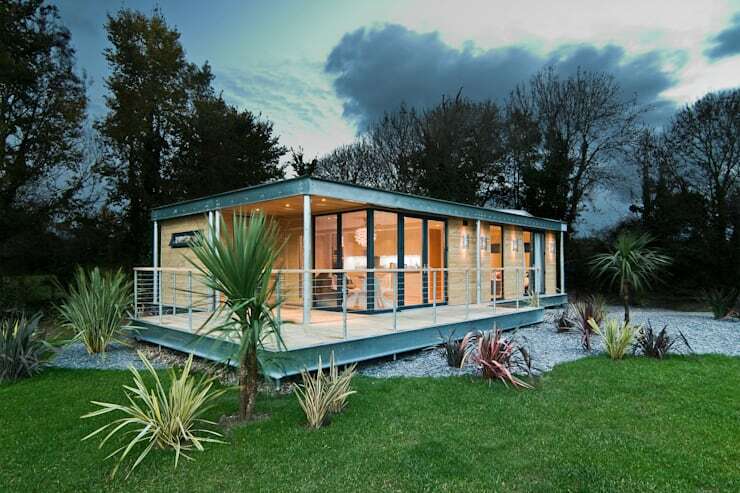 There are so many options when it comes to a prefab home, allowing you to really play with your taste and style. 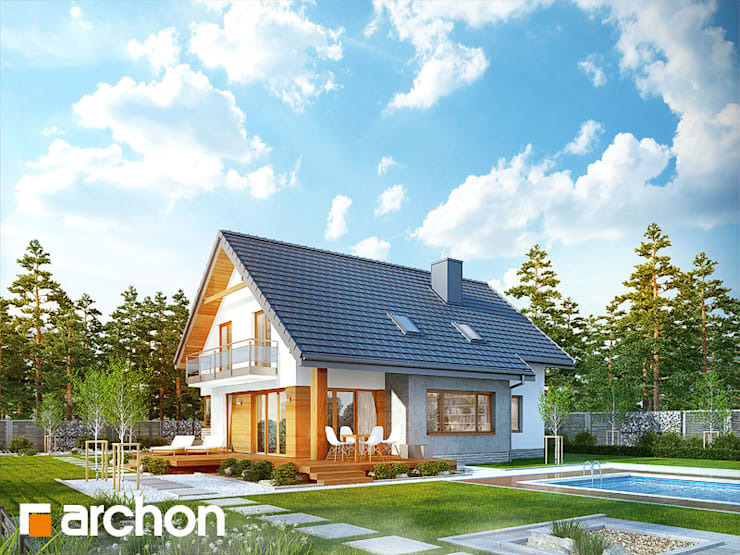 Mix materials to create a contemporary home that ticks all of the boxes, like Archon + Projekty Domow have done here. This prefab home takes modern design to a whole new level. The clean lines, minimalist look and feel and neutral colours makes for a very appealing home that looks like it comes straight out of the future. 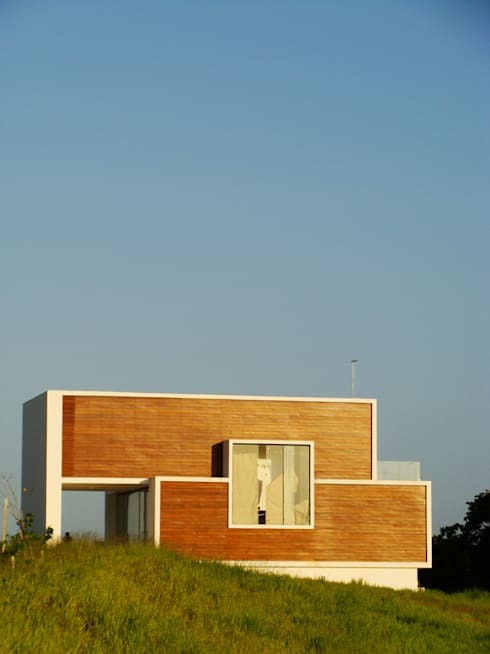 If you enjoy a bit of creativity and innovation, a prefab home allows the freedom to really play around. Don't you love the unique facade of this home as well as how the living room spills out onto a spacious terrace? One of the major advantages to a prefab home is that you can put it just about anywhere (as long as you have the property rights). In this image, we can see how a gorgeous wooden home has been placed in the middle of the woods, allowing the residents to truly immerse themselves in the surrounds. Because you have some flexibility with prefab designs, you can really take advantage of the surrounds, like we saw in the previous image. 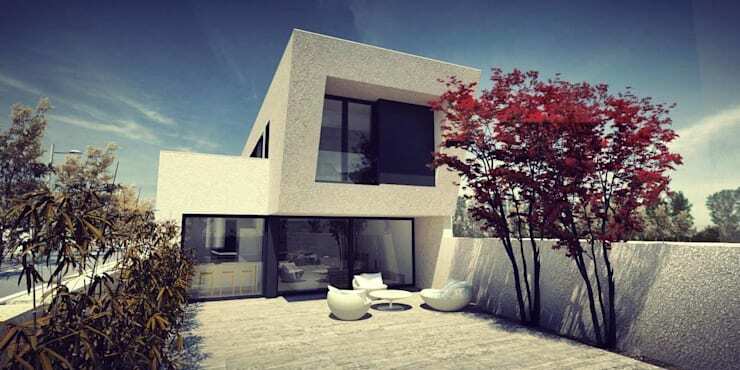 In this project, however, we can see how the architects have created a double-storey design, allowing for elevated views of the beautiful landscape. A prefab home also allows for homes that feature spacious terraces, where the family can enjoy some fresh air and sunshine. With enough space, you can make these terraces as big or as small as you like. This design is an example of how the traditional and the contemporary collide. 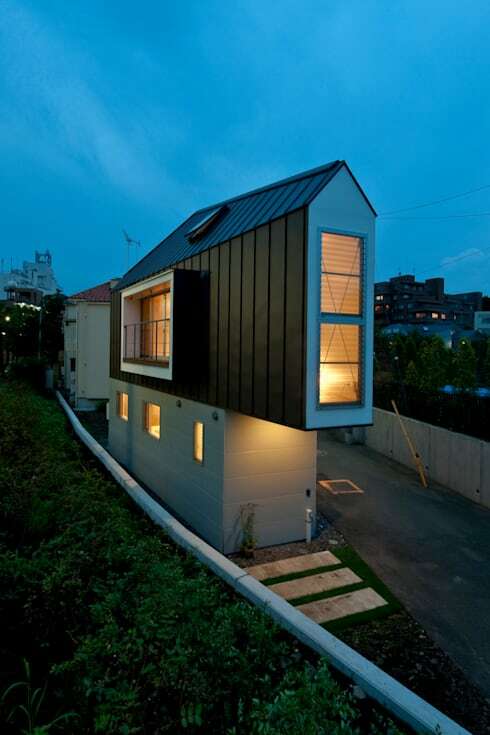 This prefab home is made up of different volumes and shapes, which makes for a very eye-catching design. This is further emphasised by the black and white tones. If you prefer a more classic home, a white home is always a timeless option. This home would suit just about any taste or style! We end off our tour looking at this incredibly sleek narrow home that takes innovative architecture to a whole new level. It almost looks like a boat! 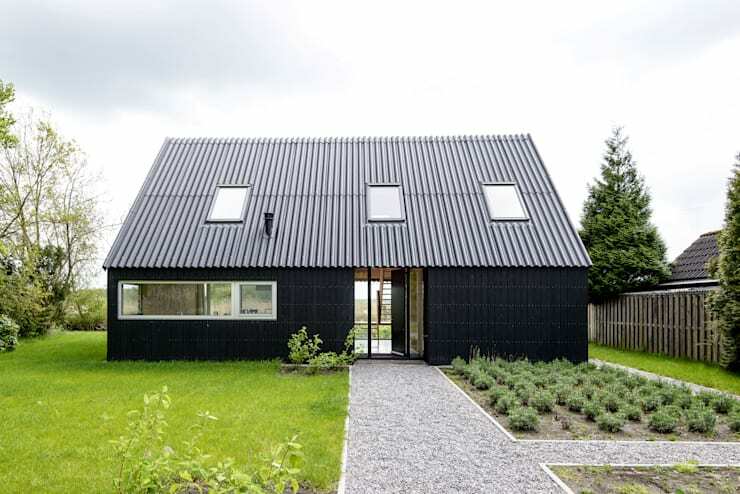 If you've enjoyed this ideabook, you'll love this: Terrific timber prefab house! 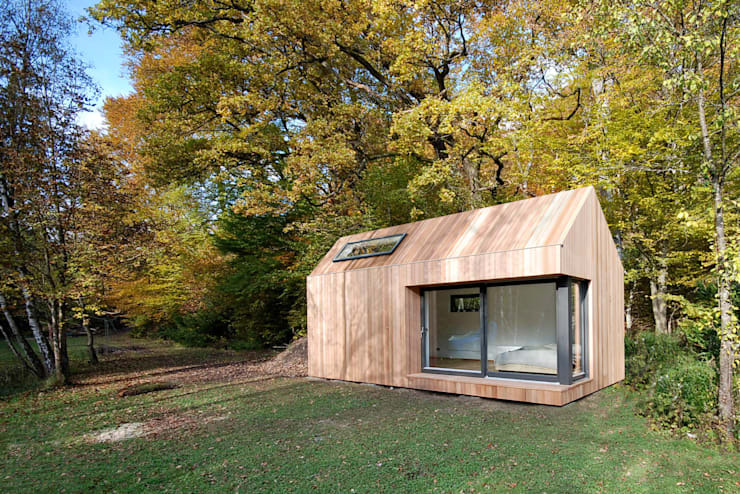 Do you see how much fun you can have with a prefab home? 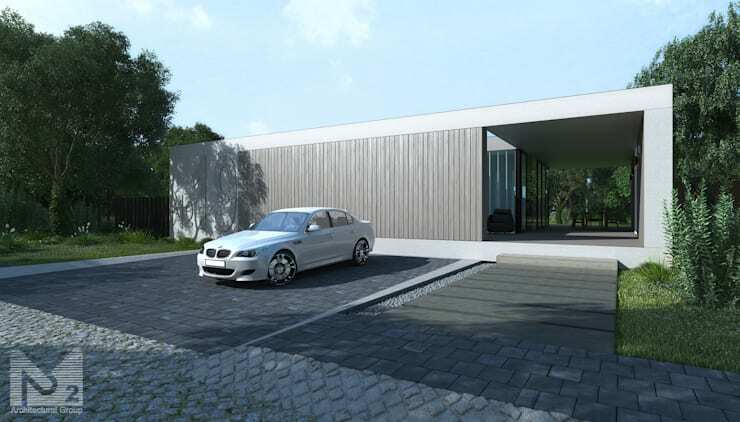 Would you choose a prefab home?